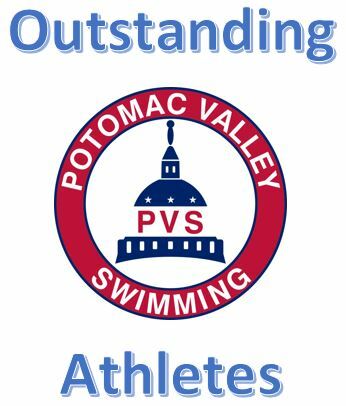 Potomac Valley Swimming (PVS) fosters recognition programs for their member athletes that highlight both their academic and in-water success. In November 2018, PVS announced their outstanding Academic Athletes (considering both academic and in-water accomplishments), and just this week announced their Outstanding Athlete for each age group (in-water accomplishments). 3. Have achieved a 3.5, or higher, Event Standard Average in a minimum of five events. Conversions: A, AA, AAA, AAAA = 4 pts. B, BB = 3 pts. Any Slower Time = 2 pts. A maximum of two (2) ‘B’ times or one (1) ‘C’ time are permitted. The GPA requirement is for the 2017-2018 Academic Year. An applicant can have a GPA lower than 3.5 in a specific grading period, so long as the year-long GPA is 3.5 or greater. Per the PVS Board, modifications to these criteria will be considered to allow Athletes attending Fairfax County Schools to be judged on an equal basis with Athletes from other School Districts. Furthermore, Home‐Schooled Athletes shall be eligible to participate, provided that their Application is reviewed and approved by a Committee appointed by the PVS Board. The November announcement contained 409 athletes representing 24 PVS member clubs. NCAP had the largest number of recognized athletes with 137. The qualification period is from September 1, 2017 – August 31, 2018. Nominations for this award must be submitted by a PVS Coach member. An athlete may only be nominated for one award even if he or she was two different ages during the qualification period. The nominating coach selects the age. The accomplishments presented in the nomination must have been achieved in the specific age group for which recognition is sought and achieved during the qualification period. Only individual accomplishments will be considered, no relay accomplishments. 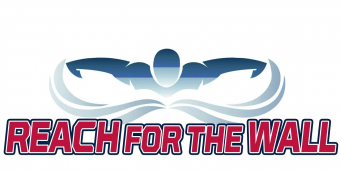 Additional USA Swimming/PVS accomplishments may include FINA World Record, USA-S National/Junior Team Member, USA-S Open Water National Championships, FINA World Rankings, USA-S Representation at International Meets, USA-S Trials Class Meet Participation/Qualification, National IMX Rankings, etc. No accomplishments from club sponsored, high school, or summer league meets are to be included. Voting will be in person at the Competition Committee Meeting on January 9, 2019. Ballots will be sent out by email in advance of the meeting. The voting occurred as advertised at the last Competition Committee Meeting on January 9th, with the stipulations that each club will have one vote (ballot containing all age categories) and a club representative must be in attendance to cast the ballot. The results show that in some of the age categories, the choice was fairly clear-cut (for example, the Open Female winner), in other age categories, there were up to 4 nominees eligible. Congratulations to the winners as well as all those nominated!! Congratulations to all the athletes that achieved recognition, it shows your hard work and dedication to both your academic and in-water activities! ← RMSC Celebrates 50 years!